If Belize should go to the ICJ one of these days: who would be the people to decide our faith? The International Court of Justice is composed of 15 judges elected to nine-year terms of office by the United Nations General Assembly and the Security Council. These organs vote simultaneously but separately. Judges must be elected from among persons of high moral character, who possess the qualifications required in their respective countries for appointment to the highest judicial offices, or are jurisconsults of recognized competence in international law. The Court may not include more than one national of the same State. Moreover, the Court as a whole must represent the main forms of civilization and the principal legal systems of the world. In practice this principle has found expression in the distribution of membership of the Court among the principal regions of the globe. Today this distribution is as follows: Africa 3, Latin America and the Caribbean 2, Asia 3, Western Europe and other States 5, Eastern Europe 2. Members of the Court are independent judges whose first task, before taking up their duties, is to make a solemn declaration in open court that they will exercise their powers impartially and conscientiously. The Members of the Court, when engaged on the business of the Court, enjoy privileges and immunities comparable with those of the head of a diplomatic mission. 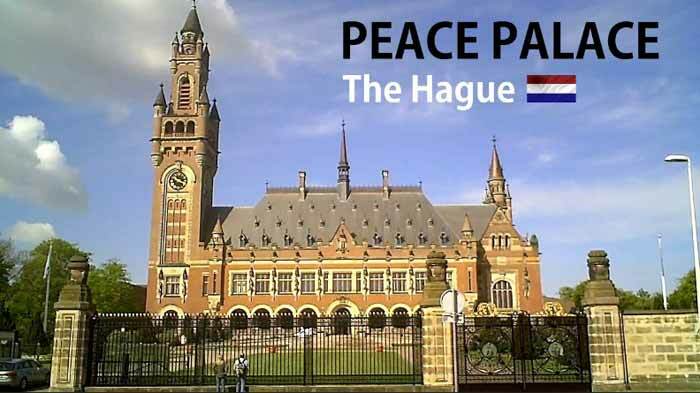 Court is held at the Hague, South Holland, Netherlands.